Patterson Grain is a single location grain elevator licenced by the Canadian Grain Commission. Patterson is located south of the village of Wellburn on County Road 27 within the Municipality of Thames Centre. Our main business is the processing and marketing of black beans, yellow corn, crusher soybeans and soft red wheat. We also market oats, barley, hay and straw. 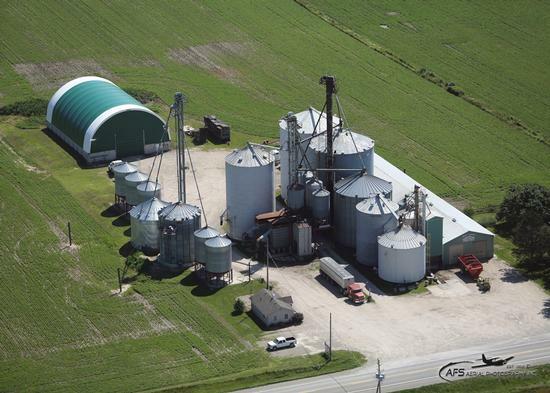 For our customer's convenience we can provide our growers with trucking service for farm to elevator transport and finish up with drying, conditioning and grain storage. Price as of 04/25/19 07:26AM CDT.